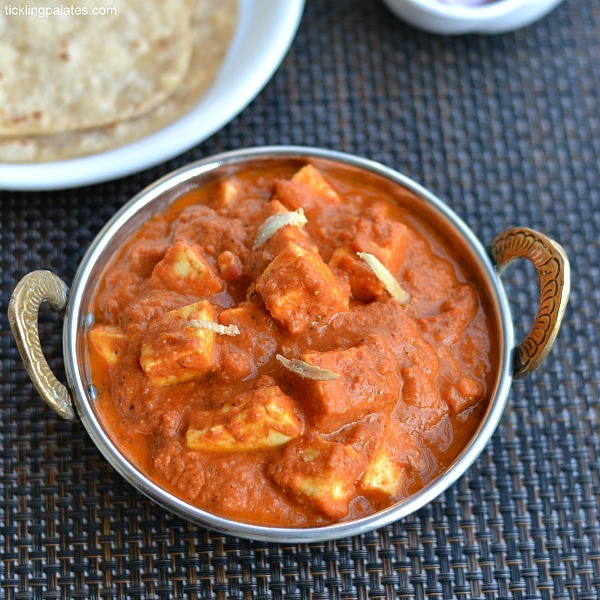 This is a no onion, no garlic version of paneer butter masala that is not only easy to prepare but also gives you a restaurant style paneer butter masala at home. Recently when my friend J’s parents came to visit her and I always pay them a visit when they are in town. Having travelled widely, they both are very knowledgeable about food and its always a delight to talk about various cuisines cooked across the country and I always lose track of time when talking to them. 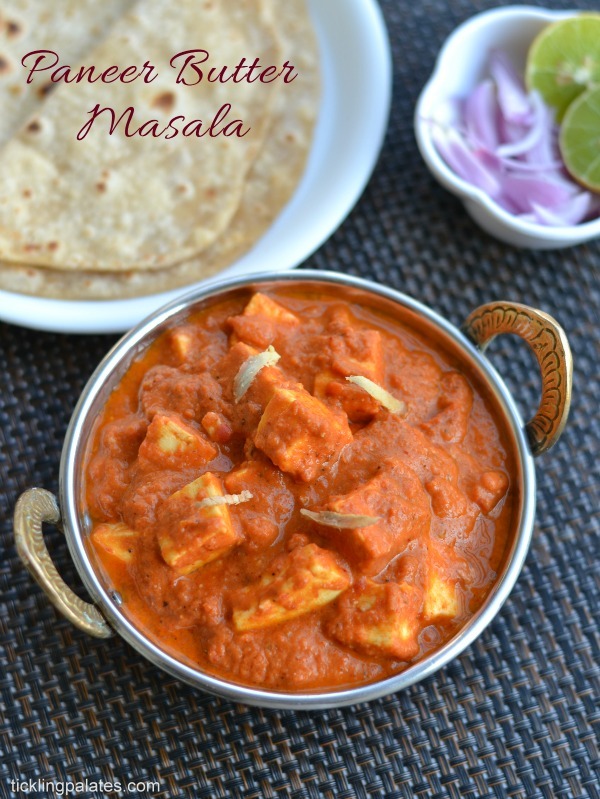 On that day she had made this paneer butter masala and I was surprised. 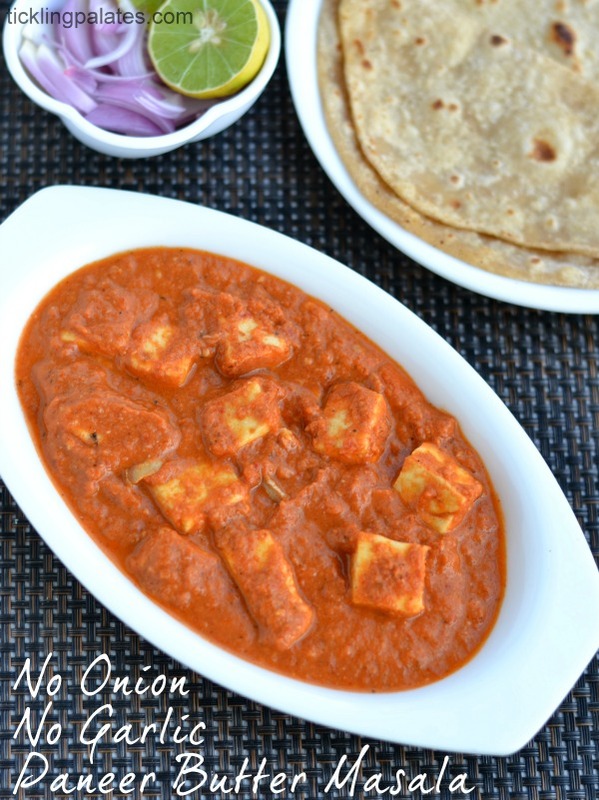 It was the period of Chaitra Navratri or Vasant Navratri and she not only fasts but also never uses onion and garlic while cooking during this period. In fact, I came to know there is one more Navratri that is celebrated in the country only through her a few years back. When I tasted the gravy, it was simply yummy. 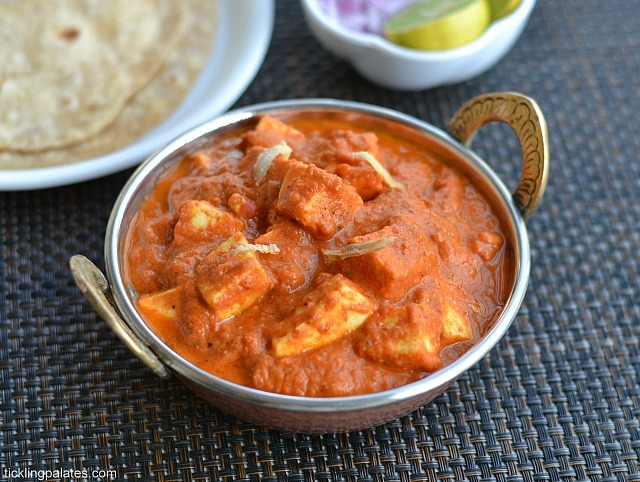 I did not miss the whole spices, the onion, garlic at all and still taste wise it did not lack the creamy goodness of a restaurant style paneer butter masala. For a person like me who is so used to thinking and cooking with all these ingredients, it was a real surprise. Take time to cook the tomato puree well, else you will get the raw smell and taste of tomatoes in the gravy. Do not add water to the tomato puree to cook it. 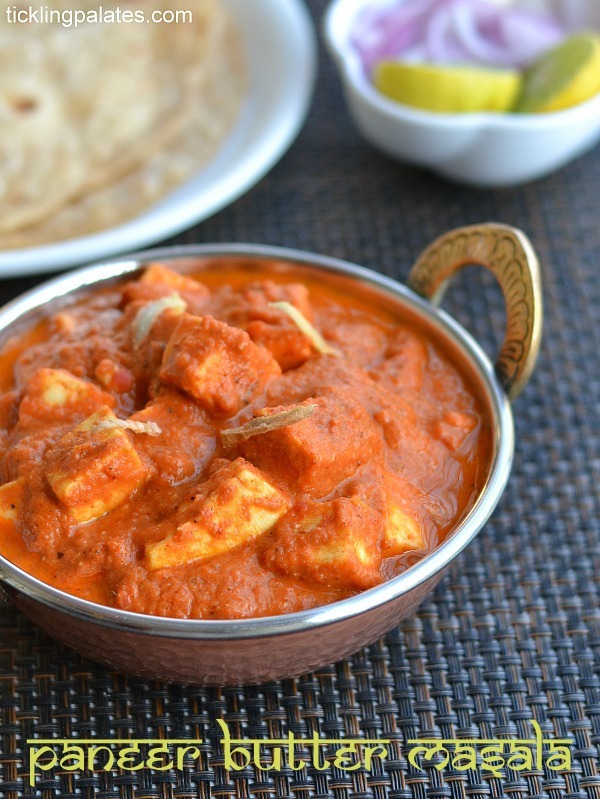 Always add garam masala powder at the end to retain its freshness and flavor. Using butter and oil together will prevent the butter from becoming ghee quickly while cooking it. I always rinse the mixie jar with either milk or water after grinding cashew nuts and use the same in the gravy. Sugar is added to maintain the rich deep color of the tomato in the gravy. You can skip it if you don’t like it. Adjust the red chili powder and green chilies according to your spice level.